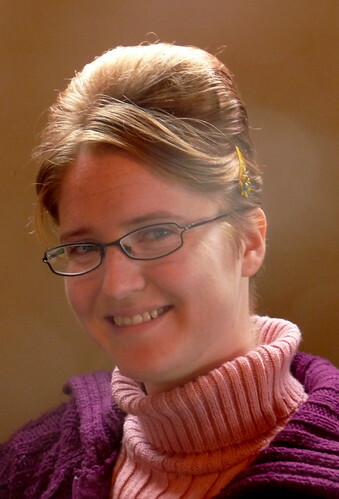 Adrienne, in a Beehive Hairdo, originally uploaded by FallenPegasus. Adrienne has dressed up as an old-school school teacher for a drama class presentation as part of her ASL courses. Thus, the hairspray based beehive hairdo.